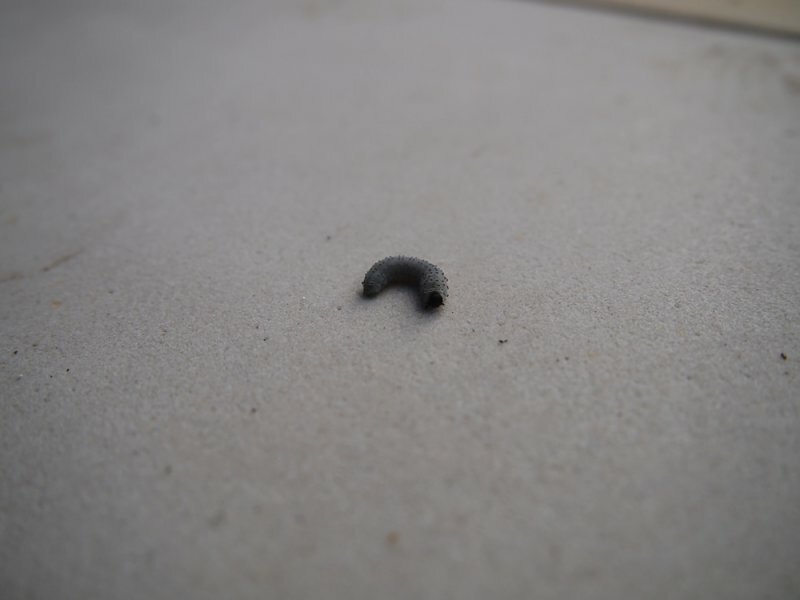 The larvae (which do the damage) are grey-white and up to 20mm long with distinctive black heads. 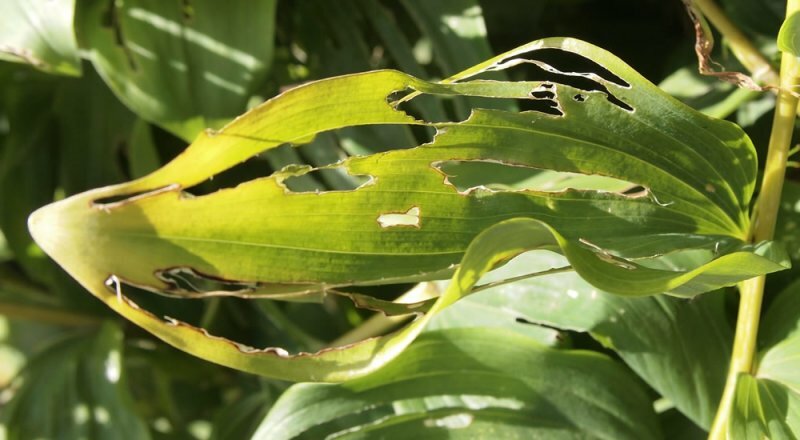 They are often found feeding on the underside of leaves where they intially eat long strips from the leaves but eventually may defoliate the plant entirely. The adults are dark coloured flying insects which are 8-9mm long which are often mistaken for flying ants. The female adults have a saw-like ovipositor which the use to cut into soft plant tissues and lay eggs within it. You may notice purple/brown patches on the stems where the eggs have been laid. 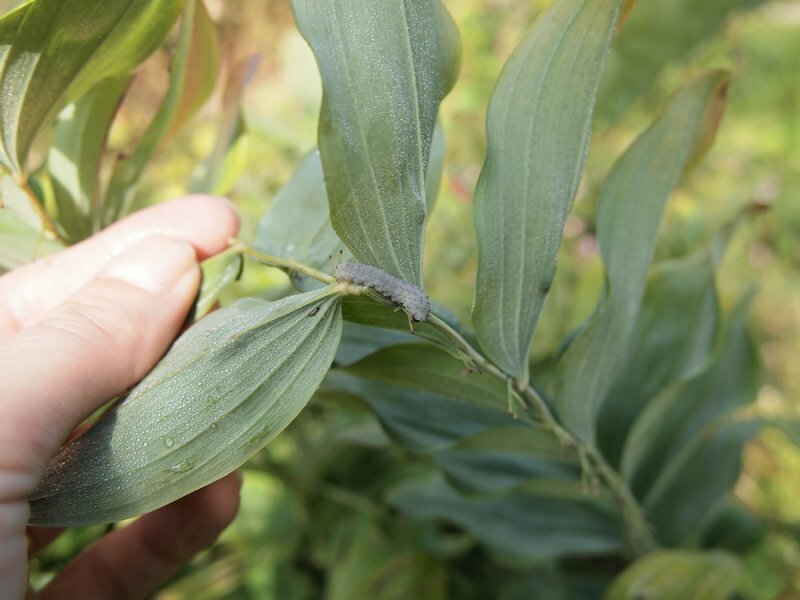 Female sawflies lay eggs in the leaf stalks in May/June and the larvae hatch about a week later. They then feed on the plant for a month before going into the soil and forming a pupa to overwinter, before emerging as adults the following May/June. There is only one generation each year. 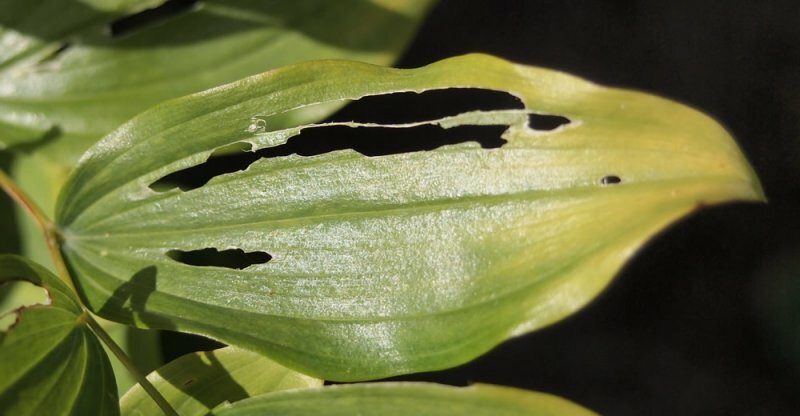 The larvae strip the plant of its leaves very rapidly. The adults aren’t a problem as they feed on pollen. Affected plants will survive but won’t flourish. 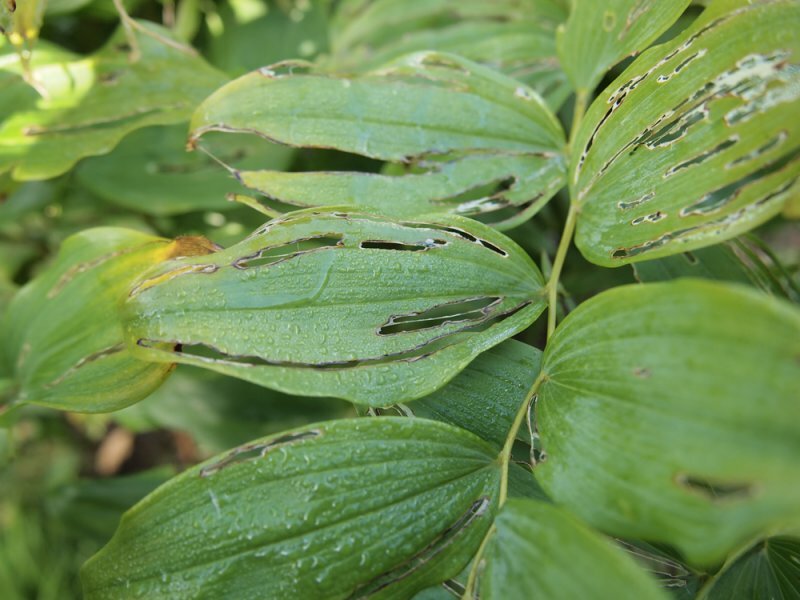 Found in the summer on Solomon’s seal and other plants of the Polygonatum genus. This is a very common pest and there’s little you can do to deter it. As soon as you see the larvae spray the plant with a contact insecticide. 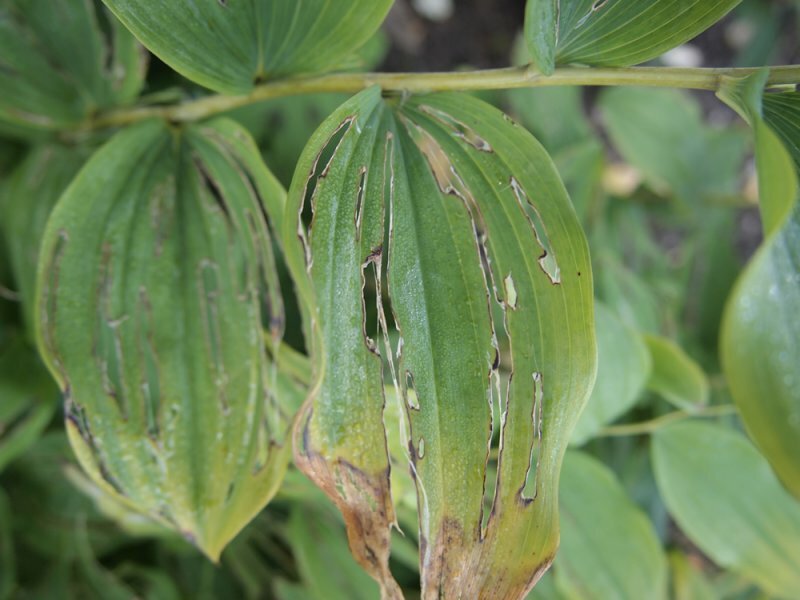 Be vigilant in May and June because the larvae do a lot of damage very quickly. 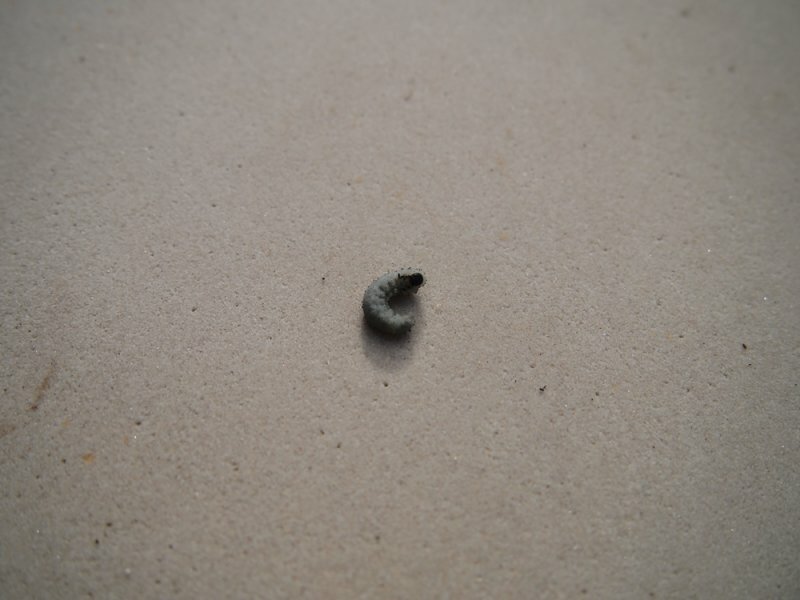 If you prefer not to use chemicals then the larvae can be removed by hand.